WILLEMSTAD - Representatives of six hospitals from Colombia are on the island for a conference on preventive health care. They mainly look at diabetes, obesity and cardiovascular disease. Colombia is one of the most important partners for Aruba and Curaçao when it comes to specialist treatment of cardiovascular disease. 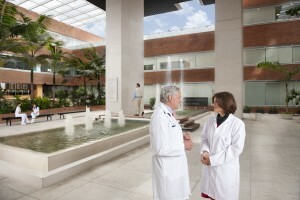 Nearly 70 percent of international patients in Bogota come from Curaçao and Aruba.